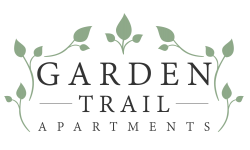 Garden Trail has brand new homes with floor plan options designed to suit your needs. Be among the first to enjoy the spacious two and three-bedroom homes in our brand new community. Garden Trail Apartments is just minutes from Clearwater Bay, Coachman Park, and the highway. We're happy to answer any questions about your new home!